We all know green smoothies are here to stay, but did you know that dogs can benefit from green smoothies, too? Adding some extra veggies to your dog’s diet can provide additional fiber and nutrients to support their immune system and digestion. 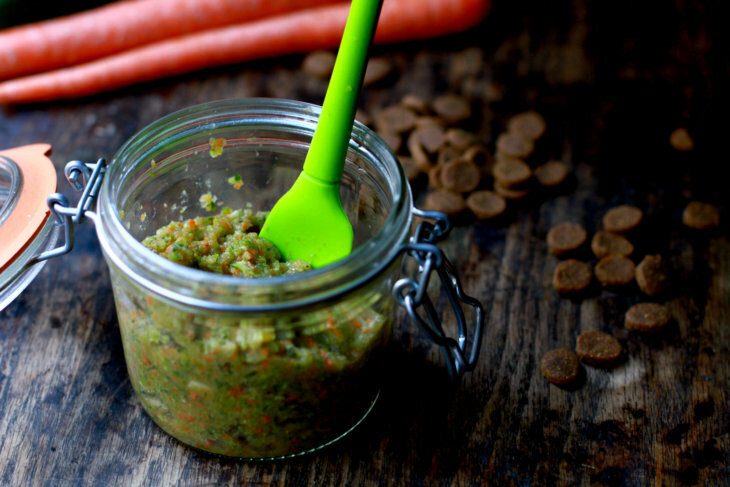 This Green Blend for Dogs recipe takes its inspiration from Green Juju, a whole food supplement for dogs. Green Juju is sold at specialty pet supply retailers, including several here in the Portland area. However, if you can’t find Green Juju, you can also make a simple recipe at home. IMPORTANT: Before you start making this Green Blend for Dogs, do your research. There are plenty of vegetables that are healthy for humans, but dangerous for dogs. Also, be sure to talk to your vet before you start adding new foods to your dog’s diet. And if/when you do add some new foods, start out with very small quantities so that your dog’s digestive system has time to adjust. Finally, know that some dogs tolerate certain foods better than others. For example, some dogs are sensitive to poultry, and do better with alternative proteins such as pork. A green blend may not work for your dog’s individual digestive system. If you want to find out more, AKC.org has a great article about which foods are safe — or toxic — for your dog. You might also want to check out this article from Modern Dog, as well as Dogs Naturally Magazine. Remember: start out small when trying this recipe; for example, adding a tablespoon to your dog’s regular food at mealtime. Too much too soon can cause GI upset. Add all ingredients to the bowl of the food processor. Process until mixture forms a rough paste, pausing to scrape down the sides as necessary. If necessary, add a little water to help the blending process. Spoon into an airtight container and store mixture in the refrigerator. Use within 4-5 days, or freeze the mixture in an ice cube tray for individual portions. 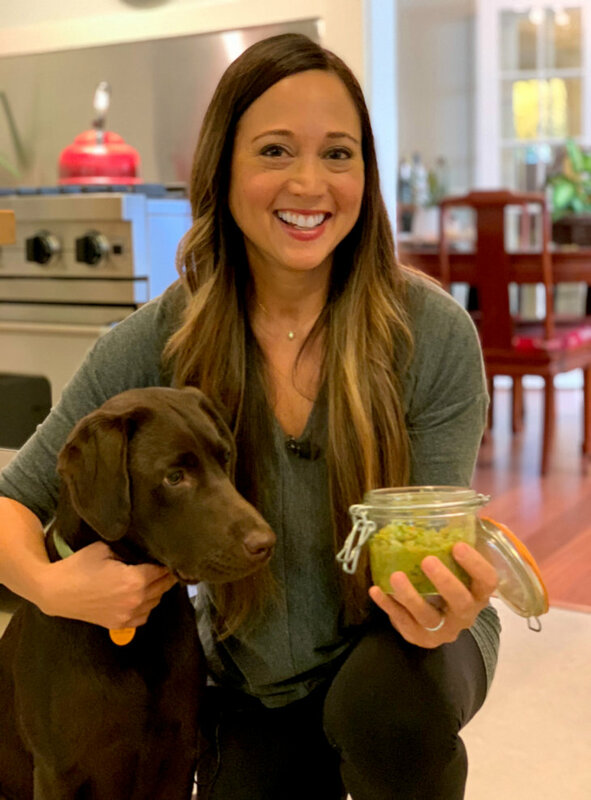 I hope you enjoy this recipe for the Green Blend for Dogs.